One of my favourite things is when you discover a new band or musician. It’s often like you’ve just learned this amazing secret or unearthed a whole world of possibilities. I also have a soft spot for lesser known Canadian artists. Continuing with the trend of beer related gifts this past week Andrew’s birthday present to me included a set of beer glasses. The glasses are different shapes and styles appropriate to different kinds of brews. The gift pack included a number of glass styles including: Craft Pub, English pub, Pilsner, Wheat Ale, Belgian Ale, Stout, etc. Basically a glass for every type of beer beverage imaginable. We’re looking forward to trying out all of them. So far the Craft Pub and the Belgian Ale glasses have been favourites for their feel and style. The last week of the September Andrew and I received our second last shipment of beer in the mail – unless we decide to sign up for another round. This selection included three beers: Biker Beer Lager by Nickel Brook Brewery, 1815 Lockstock Ale by Strathroy Brewing Company, and Belgian Wit by Niagara’s Best Beer. This was the first month where Andrew and I weren’t really impressed with any of the beer sections. I was initially excited that they were all small Ontario brews, but all three of them fell short of the mark. None of them were bad by any means but they weren’t great or anything memorable. Additionally, the Biker Beer label was fairly off putting and was objectifying to women. I get that it’s inspiration was the Friday the 13th bikes at Port Dover and probably has a very specific target market – but come on. Hopefully the final shipment is a better selection of beers! This past weekend we spent some time playing in the dirt. 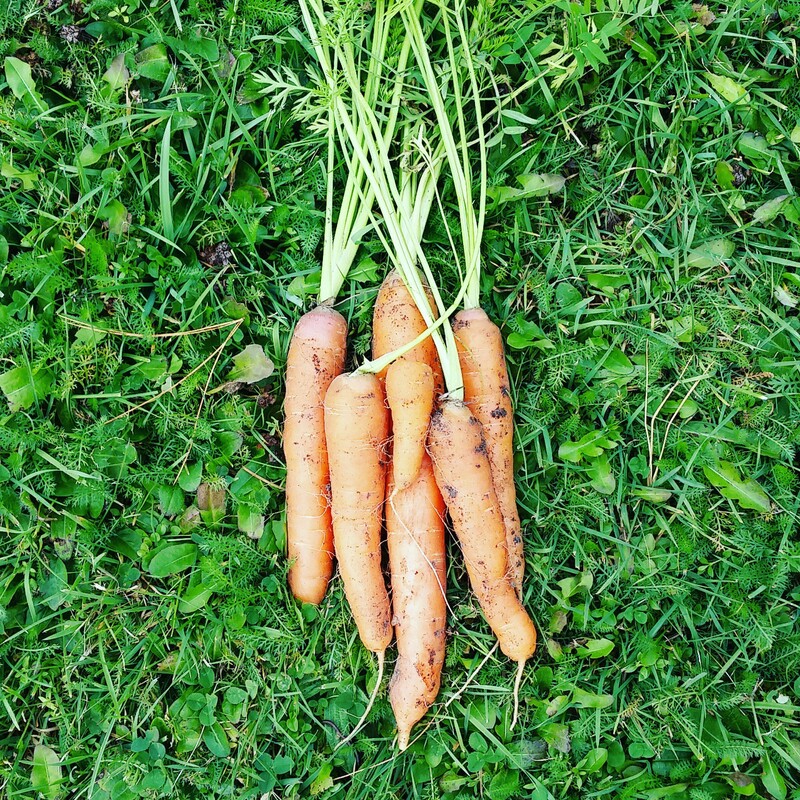 We did some fall garden cleanup and maintenance including harvesting the last of the root vegetables, pulling out dead plants, and getting the soil ready for compost. Both Andrew and I remarked on how much easier it was to do this maintenance on the square foot garden portion of the veggie garden. Typically by the time fall hits we are into garden fatigue and don’t have the motivation to tackle the cleanup part of the garden. This usually means we have a whole lot of work to do some spring. 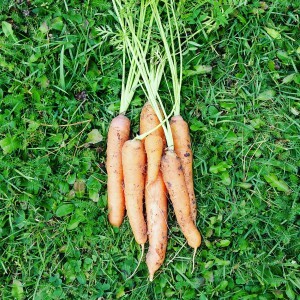 The smaller square foot garden made maintenance throughout the whole season easier and there were substantially less weeds to battle in the fall. Definitely a success. And while we were doing cleanup Little Miss got to play outside and managed to get covered in dirt as usual. Good thing it was bath day. 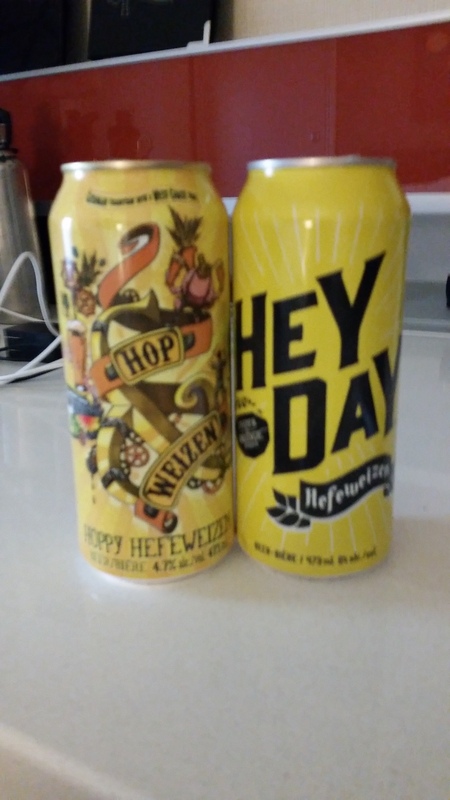 Andrew and I recently sampled two Hefewizen beers – Hey Day Hefewizen by Granville Island Brewing and Hop & Weizen by Creemore Springs. Prior to this adventure I didn’t know a whole lot about Hefewizen style beers. Apparently they are typically brewed in the south German style of wheat beer, use a yeast that sparks banana and spice flavours, often with notes of bubblegum or apples. The ‘Hef’ prefix means ‘with yeast’ so most appear unfiltered and cloudy. Both of these selection’s fit the bill as mild Hefewizen style betters. The Hop & Weizen was very yellow in colour and was moderately hoppy. There was thin note of banana and it finished with a spice flavour (possibly clove?). It was fairly smooth drinking and would be great on a sunny day. The Hey Day was light and the had more overt banana flavouring. The hops were a bit milder on this one and Andrew enjoyed it over the Creemore selection. I didn’t love either of these beers — but that might have more to do with the style of Hefewizen beers than the individual brews. Since Little Miss has been born we’ve traveled to Ottawa, Southern Ontario, Red Rock, Buffalo, London, and gone camping a few times. The addition of one small human being to our family seems to exponentially complicate packing and travel. The pack n’ play. Also known as Little Miss’ travel bed. Thankfully when we forgot this crucial item we were merely staying 15 minutes from home and could retrieve it without too much hassle. Bedtime cream, bedtime books, and other items that have become integrated into her bedtime routine. The cord for the breast pump. This item isn’t so useful when you can’t plug it in. That time when I only packed one heavy sweater for Little Miss and the whole trip ended up being cold…and there were no laundry facilities. I figure we manage to fit all three of us and most of the baby gear into the car we’re doing well. Most of the extras can be bought or done without. Though having can make life a whole lot easier. These days I seem to permanently have a nagging feeling that I’m forgetting something.